I was thinking of the Aerosmith song and not Monty Python. I was also thinking that we have a really long hike to the bathroom in our new office digs. I used my pedometer yesterday and it’s a 0.07 mile round trip, so I could get an entire mile in if I make fourteen bathroom trips in a day. Unfortunately, that would both impair my efficiency and make people think I have a serious problem, so I think I’ll have to take the loss on that one. I’ve gotten a couple of requests from friends who are interested in my weight loss/general health success to know what I’m eating, so I’m going to document tomorrow and post everything Thursday. I would today, but we’re low on groceries, so today isn’t very pretty. I’m working on a larger post about the gluten free thing, but I will go ahead and tell you that I’ve lost TWENTY POUNDS. I’ve experienced a host of other improvements, but I want to devote an entire post to that topic, so suffice it to say that gluten free is definitely for me! 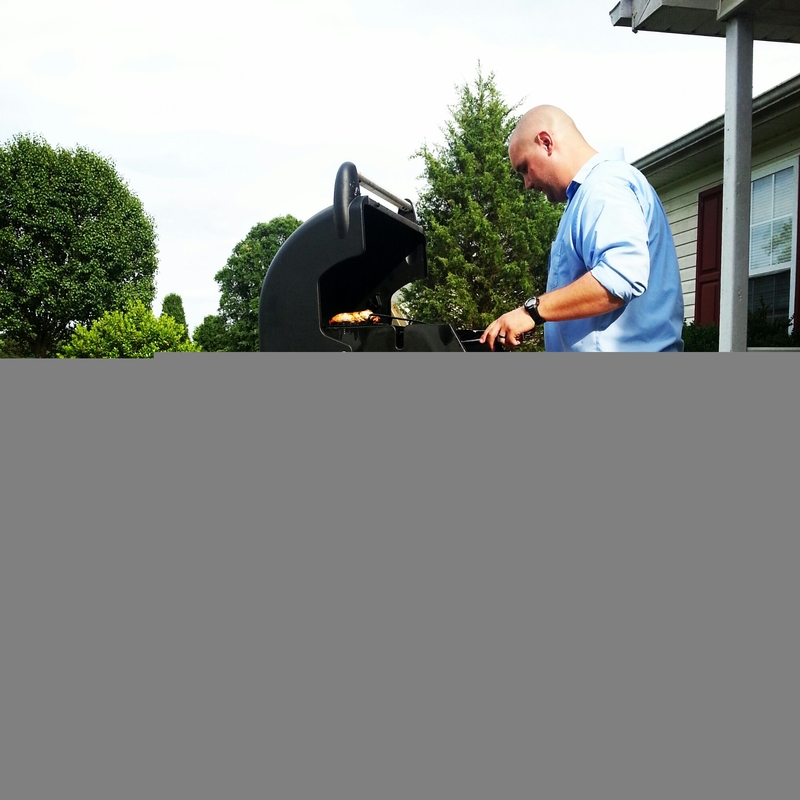 We used the Udi’s gluten free buns…they were extremely dense. 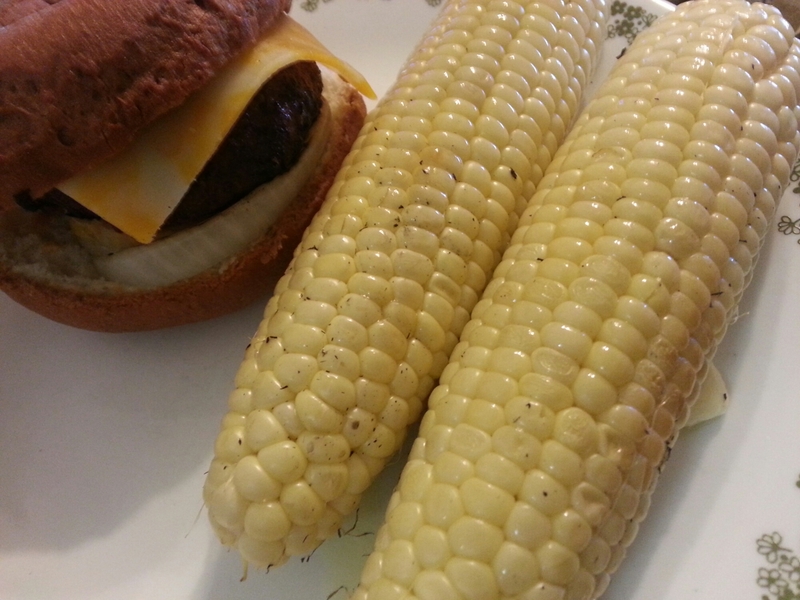 It was nice to have something that resembled a traditional cheeseburger, but I’m not sure it was worth it, so I don’t know that we’ll bother with buns when it’s just us eating at home. 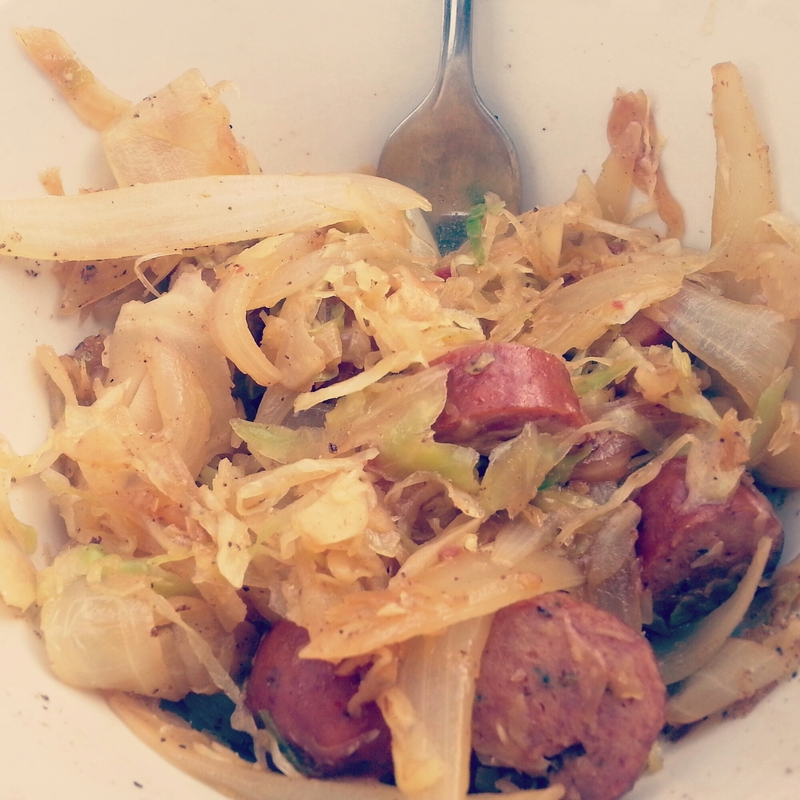 Yesterday, we made sausage with cabbage and onions (German food! )…no specific recipe. We bought some turkey sausage links at Aldi, so we sauteed those with onions in butter and then added a bag of shredded cabbage and cooked it all down until the cabbage was tender. We used a half cup or so of chicken stock to deglaze the pan and enjoyed it al fresco while watching the puppy get stuck in the bushes and pee in the yard. It ain’t pretty, but it was good. The after-effects? Not quite as good. Also, yesterday was Shelli’s seventh adoptiversary. I can’t believe it’s been seven years. I still love her so much that it hurts. She’ll always be my first child. 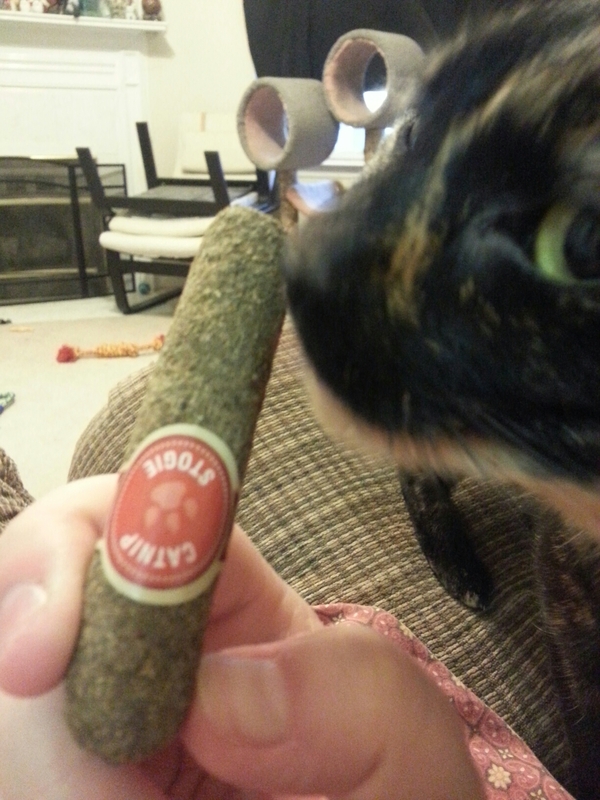 Joey got her a pressed catnip cigar, and she totally cracked out on it for half an hour or so until she decided that Indy’s toys were more interesting. I’ve started getting the itch to knit again…I’m lusting over yarn and project photos on my favorite knitting blogs. It’s time to pull something out to work on. I have a scarf that I started in March…I think I’ll finish that up and (finally) learn how to block. I’m also slowly working myself up to being brave enough to try socks. I know. I’m a rebel. Im so happy for you! Twenty pounds is awesome!! !